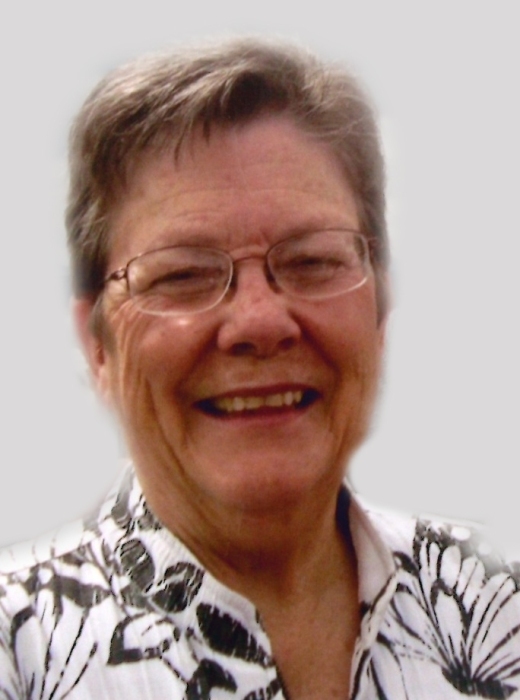 Olivia Ann Dodson Lainhart, 77, of Thayne Wyoming, passed peacefully from this life after a battle with cancer on Monday, February 11, 2019 surrounded by her loving family. Olivia was born April 13, 1941, in Memphis Tennessee to John Paul Dodson and Claire Elaine Liber. She was the second of three children. She graduated from West High School in Nashville Tennessee and received her bachelor’s degree in Elementary Education from Millsaps College in Jackson Mississippi. On October 1, 1962 Olivia was baptized a member of the Church of Jesus Christ of Latter-Day Saints and served a full-time mission in Chile. She taught Elementary School for 15 years in Salt Lake City Utah. On November 5, 1979, Olivia married Allen DeLand Lainhart, a widower with six sons, in the Salt Lake Temple. They quickly added three more sons. In addition to her duties as a full-time mother, she taught school in Etna for five years. She was always busy with the boys’ school and sports activities and still found time to reach out and help others. She had a great sense of humor and a fun, contagious laugh! For over 15 years, she has served as an Ordinance Worker in the Idaho Falls Temple, Rexburg Temple and the Star Valley Temple. Olivia and DeLand also served together in the Texas McAllen Mission from October 2006 to April 2008. Olivia was a faithful member of The Church of Jesus Christ of Latter-Day Saints, actively serving in many capacities, including Relief Society President and Young Women’s President. Her hobbies include art, cooking, all sports, dancing, camping, fishing, hiking, reading, and gardening. However, her greatest passion was serving others. She served her community by volunteering for the Meals on Wheels program at the Thayne Senior Center every Monday, she organized temple trips each week and made countless meals for homebound neighbors. Her cooking skills were only exceeded by her love for those whom she served. Olivia is survived by her husband of 39 years, DeLand Lainhart; their sons, Jared (Keri) of Meridian Idaho; Daniel (BreighAn) of Las Vegas Nevada; and David (Rebecca) of Mapleton Utah; as well as Jerry (LaDawna) of Thayne Wyoming, Allen (Kristy) of Spanish Fork Utah, Eric (Heather) of Houston Texas, Kurt (Kimm) of Nephi Utah, Eli (Lauralee) of Afton Wyoming, and Kyle of Thayne Wyoming; 38 grandchildren; 10 great grandchildren out bucking and one in the shoot; five brothers-in-law and seven sisters-in-law, and many nieces and nephews. She was preceded in death by her parents; sister, Paulette Culpepper; brother, John Paul Dodson II; and grandson, Keegan Lainhart. Our loving mother, grandmother, great grandmother, sister-in-law and friend will be greatly missed by all those who were blessed by her love and friendship. Olivia was a great example of one who always followed Jesus Christ and loved life. Services will be held at 11:00 a.m., Saturday, February 16, at the Thayne Stake Center, 276 Dana Street, Thayne Wyoming 83127. The family will visit with friends and loved ones from 6-8 p.m. Friday, February 15, at the Schwab Funeral Home, 221 Jepperson Dr, Thayne Wyoming 83127 and from 9:00-10:45 a.m. Saturday at the church. Interment will be at the Thayne Cemetery. In lieu of flowers, please donate to your local Senior Center.